N64 007: The World is Not Enough (USA) in 31:29.53 by Wyster. 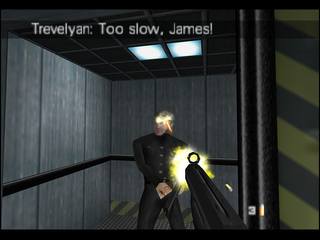 After beating 006 in GoldenEye 007, Bond returns to fight Renard, another evil genius attempting to take over the world in a plot similar to the movie this first-person shooter is based on. Armed with various new weapons, Bond skis down the Caucasus Mountains, infiltrates a nuclear bunker, and even makes his way into a sub, all within half an hour. Various glitches are abused here, particularly some that allow Bond to skip some of his objectives and even some entire levels. For more information, see the author's comments. N64 Bomberman 64 (JPN) in 23:38.55 by Nahoc. 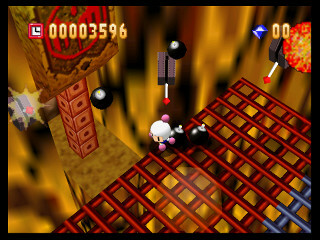 Bomberman 64 (爆ボンバーマン Baku Bonbāman) is the first 3-D game within the Bomberman series. 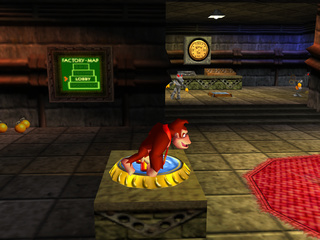 It also implements a different single-player mode by incorporating action-adventure and platforming stages, instead of arenas in which enemies or other elements must be destroyed. This TAS is played on the Japanese version because of its shorter intro. If you want to see more Bomberman goodness, we have plenty more Bomberman Movies. There is also a 100% run by zvsp. N64 Chameleon Twist (USA) in 11:04.37 by Nahoc. 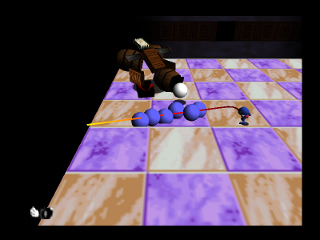 The protagonist of this game is a blue chameleon named Davy who, upon following a rabbit (closely resembling the one from a Lewis Carroll book) into a magical hole in the ground, finds he has taken on a humanoid form. Chameleon Twist has a total of 6 levels, of which only 4 need to be played through in order to reach the end. This run is 11.33 seconds faster than the previous run thanks to a timesaver in the second candle room and a better fight against the last boss. N64 Chameleon Twist 2 (USA) in 21:57.27 by Nahoc. Chameleon Twist 2 (カメレオンツイスト2) takes place after the events in Chameleon Twist. Davy and his friends (Jack, Fred and Linda) are playing in the forest, still carrying the backpack from his last adventure, when suddenly the rabbit from before falls down and knocks one of the chameleons into the sky. 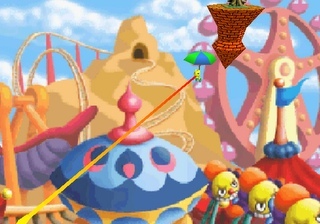 Contrary to the Chameleon Twist run, all 6 levels need to be played through in order to reach the end; Sky Land, Carnival Land, Ice Land, Great Edo Land, Toy Land and Pyramid Land. N64 Diddy Kong Racing (USA v1.0) in 2:03:02.08 by xenos. Annoyed with the success of the Mario Kart series, a bunch of Rare characters got together and held a racing competition of their own. Along with the availability of several types of vehicles, this game has something of a storyline to it and full completion requires reloading a saved game after the credits run for the first time. 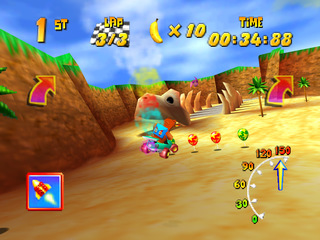 More races occur after the initial credit roll, so don't stop watching once the ending plays. 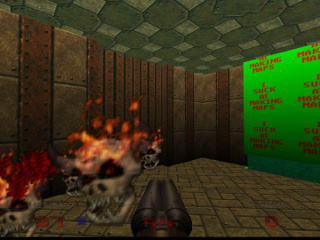 N64 Doom 64 (USA v1.0) in 23:54.9 by Headshot. After the events of Doom II, it was thought that the demonic threat was finally put to rest. There was a lone survivor however, and in Doom 64 it is reanimating all of its fallen brethren in one final attempt at carrying out the evil plot. The player once again takes control of the Space Marine in an effort to finally rid the universe of this dark threat. Here, the author Headshot sets the difficulty to the maximum setting and lets all hell break loose, making you wonder if the demonic forces even stood a chance to begin with. Note #1: Due to the low brightness levels in the game, a second set of brightened encodes are available. Note #2: There are also lossless encodes and encodes at additional resolutions available in the discussion thread. N64 Duke Nukem 64 (USA) in 11:58.87 by Mitjitsu. 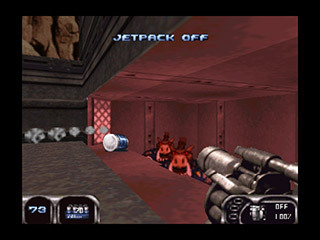 Duke Nukem 64 (1997) is a classic PC shooter ported to Nintendo 64 — unfortunately, in a heavily censored state, and without much concern for the game's performance. 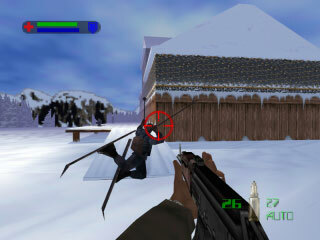 As such, the movie is played on the easiest level in an attempt to reduce the framerate drop issues arising from big amounts of enemies shooting at Duke. However, the sheer speed the player is blasting through levels will likely confuse you regardless — we recommend reading the author's comments to understand all the tricks he used. N64 F-Zero X (USA) "Death Race" in 00:29.55 by Lord Tom. Death Race is a standalone challenge within F-Zero X, so a standalone movie seemed the best way to present it. The goal is simple: destroy the other 29 ships as quickly as possible according to the in-game clock. This TAS completes the F-Zero X Death Race as quickly as possible, with a time of 5.866s. This improves the prior fastest TAS time of 8.927 by Katsukawa Sojuro aka Xenos (who reports an unpublished time of 6.993s by throwing the car off the side as this TAS does). The unassisted world-record is 24.745s by Daniel, played in PAL (20.621s converted to NTSC). There's no video of that time, but this video by the same author is almost as fast. 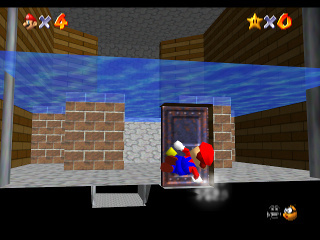 N64 Glover (USA) in 14:16.8 by Nahoc. A wizard is mixing a batch of magic potions when an explosion sends the gloves on his hands flying into the air. One lands safely outside the castle, but the other lands in an evil potion mixture. It's this evil glove who decides to take over the castle. Meanwhile, seven crystals, which used to sit on top of the castle and give the surrounding lands their life force, also fly off in all directions. 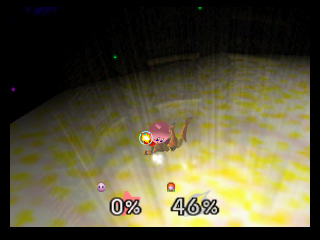 Thankfully though, the good glove, Glover, changes the crystals into rubber balls so that they land safely. Now Glover must find the crystals and put them back into the castle to restore life to the land, avoiding the bad glove who is out to stop him and take over the kingdom and the wizard's power. 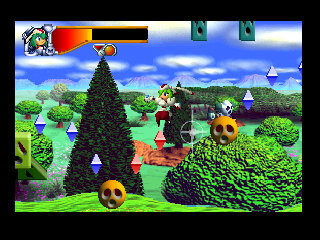 Nahoc hops, bounces, and dribbles his way through this game, taking advantage of a conveniently-placed crystal to skip right to the boss room in every stage. If you want to see more of Glover, we also have an all stages run. N64 GoldenEye 007 (USA) in 30:42.48 by Wyster & Scaredsim. 007 is ready for his incredibly popular first person shooter for the Nintendo 64. Rather than taking the usual stealthy strategy, secret agent 007 treats this first person shooter like any other and runs around shooting things with a complete disregard for human life, including his own. While this run seems to be slower than the previous run, it actually plays all the regular levels faster and also plays two additional bonus levels! N64 Mischief Makers (USA v1.0) in 55:04.28 by Comicalflop. Marina is quite a versatile cyborg. She can boost continuously in the air, ride vehicles, slide and jump like a maniac, and most importantly, shake. Make no mistake, you'll be seeing Comicalflop shake this thing, and even that thing quite a lot in this fast-paced run. The game is broken down into 52 short areas, each of them having a separate timer. Because of this, the author aims to optimize the movie for shortest in-game time. Each stage is given a rank based on how fast the stage was completed; this run gets all S Ranks. 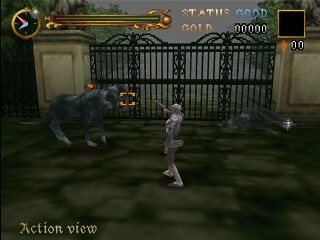 The game has some emulation errors, such as unnatural amounts of lag in some stages, and graphical glitches. See the author's comments for more details. N64 Paper Mario (JPN) in 1:30:40.15 by Malleoz. 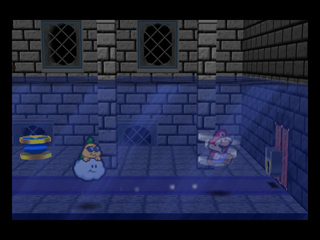 Paper Mario, first released in Japan in August of 2000, is a role-playing game for the Nintendo 64. Bowser has kidnapped Princess Peach and stolen the Star Rod, which allows him to grant himself any wish. To counteract the power of the Star Rod, Mario must locate the seven Star Spirits, who can combine their power to stop Bowser's evil plans. 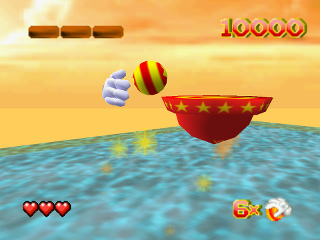 Numerous tricks and glitches allow a tool-assisted speedrun to skip large portions of the game and beat it impressively quickly. See the author's comments for more on this. For more tool-assisted Paper Mario action, check out the run of The Thousand-Year Door by the same author. Downloadable encodes include the author's commentary as soft subtitles and also an additional audio commentary with the encodes. There is also a live commentary by the author and iateyourpie. A second YouTube stream is available with an informative overlay. N64 Super Smash Bros. (JPN) in 05:25.43 by DennisBalow. This is the first speed-oriented TAS of this game to be published here. DennisBalow shows off super fast gameplay with Kirby on the hardest difficulty. 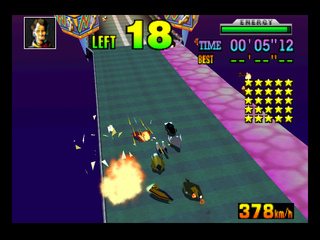 The Japanese version was used for even faster attacking and movement speed. We also have a Yoshi run that aims for entertainment instead of speed. 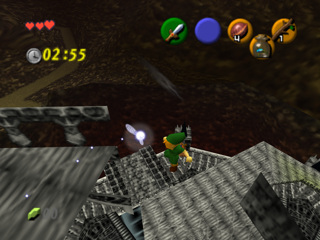 N64 The Legend of Zelda: Ocarina of Time (JPN v1.0) in 20:09.98 by Bloobiebla & MrGrunz. 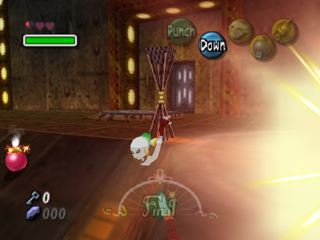 Although the length of this movie is 20:09.98 when timed with our standard method, applying the timing method used by most Zelda speedrunners (until last hit on Ganon) would result in a final time of 16:57.69. It's important to note this so that there's no confusion about which runs are faster than the others. Despite how quickly this game can be beaten these days, this run is almost two minutes faster than its predecessor thanks to new tricks at the Deku Tree and tower collapse sequence as well as many small improvements throughout the run.